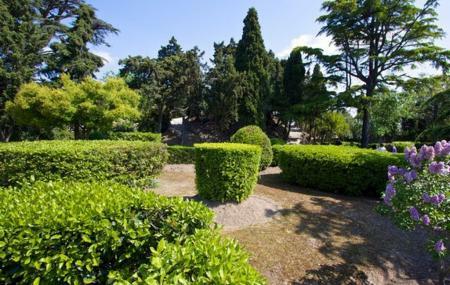 Located towards the southwest of the city of Carcassonne, Le Jardin du Calvaire or the Calvary Garden is a nice little park tucked inside bastion Saint Louis. Stone statues, tiny stone chapels with ornate carvings, trimmed hedges and flowering plants welcome you inside this little heaven. How popular is Le Jardin Du Calvaire? People normally club together La Bastide Saint Louis and Maison Des Memoires while planning their visit to Le Jardin Du Calvaire. Needs a good tidy up and renovations. Very disappointed with the poor states of the statues and general level of disrepair. Still a quiet spot in a busy city but spoilt by the considerable amount of dog mess which is unfortunately not rare in Carcassonne. Time the council tool action. Odd place but worth a visit. It's got the stations of Christ round the gardens then.... Christ on the cross with the Tomb below. "An experience" describes this place well. Good views and nice garden. Nice place to stop and explore as you walk round the city. Beautiful cemetary in city ramparts.